The apartments are located 5 minutes from the sea and 5 minutes from downtown. Each room has its own bathroom. All apartments are comfortable and well equipped. 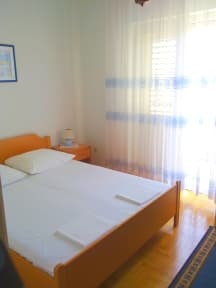 Apartments Arbanasic will give you comfort, peace and hospitality. Welcome! Payment of the balance upon arrival in cash only.